How to draw Lara Croft. 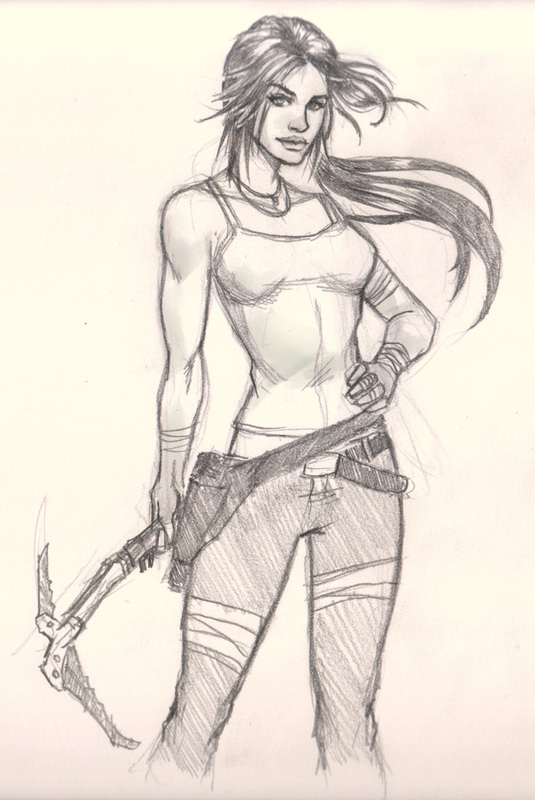 Learn to draw comics, Lara Croft Tomb Raider reboot. Draw and Sketch comics character, woman girl female Lara Croft pencil drawing. Learn from Step by step and video tutorial. Drawing and sketching step by step: female character design for manga, video game, and comics basic. The process shows BASIC drawing and sketching video series of comic book characters that will help you gain knowledge of anatomy and dynamics in the positioning of the figure and the details.